Natalie Jordan was born in Salt Lake City, Utah. Values such as hard work, dedication, honesty and taking pride in ones work were common place in her home and took root in her at a young age. Natalie’s inexhaustible drive served her well as she became involved with direct sales over twenty years ago. Over her professional career she tapped into and perfected the power of goal setting; allowing her to reach heights of which, at the beginning, she could scarcely conceive. In employing her newfound skills, she uncovered her passion: learning and then perpetuating that knowledge to all willing to learn. As a top leader in her field, she learned how to develop and implement effective and personalized training programs. 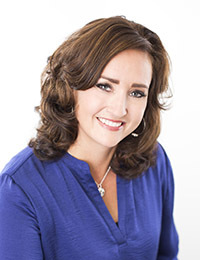 Many years of working directly with corporate leaders has given her the unique ability to not only develop individual training, but to aid in developing and achieving personalized organization wide goals. In addition to all of her field experience Natalie is a DSWA Certified Coach and a DSWA Certified Trainer. Training, education, and real world experience make her a powerful catalyst for taking you and your organization to the next level. Strategic Incentive Solutions is known as the "Reward Champions", we specialize in Rewards & Recognition, Loyalty & Engagement, and Event Planning Services. We are the "Strategic Incentive Partner" that drives performance in the downline, recruiting and auto-ship programs for Direct Marketing firms throughout North America.